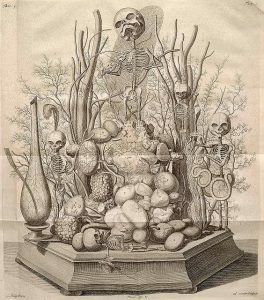 Luuc Kooijmans explores the work of Dutch anatomist Frederik Ruysch, known for his remarkable ‘still life’ displays which blurred the boundary between scientific preservation and vanitas art. When visiting Frederik Ruysch in Amsterdam in 1697, tsar Peter the Great kissed one of the specimens from his anatomical museum, and afterwards bought the entire collection. Three hundred years later, the Dutch crown prince, Willem Alexander, when visiting St Petersburg, was withheld from seeing Ruysch’s work. Diplomats had decided the prince had to be spared the sight of the ‘macabre, deformed foetuses’ that Ruysch had preserved. If he had heard this, Frederik Ruysch would have turned in his grave. Not that he would have been surprised to hear that his preparations had survived three centuries, for he would have expected nothing less. Nor would he have been astonished to find a prince taking an interest in his work. 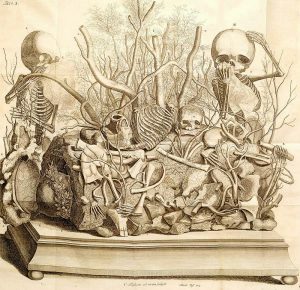 But he would have been dismayed to hear his specimens described as macabre, since it was precisely the beauty of his preparations that earned Ruysch long-lasting fame. For centuries, friend and foe alike have agreed that he should be credited, above all, with making anatomy an acceptable pursuit. At the beginning of Honoré de Balzac’s novel La Peau de Chagrin, the young protagonist is wandering around Paris, planning to put an end to his life, when he decides to go into a curiosity shop. There he encounters what Balzac describes as an ‘enchanting creature’, the embalmed body of a child, which reminds him of his happy boyhood. This ‘sleeping’ child turns out to be a remnant of the collection of Frederik Ruysch, who had been dead for exactly a century when Balzac wrote the novel. The Italian author Giacomo Leopardi did not find the preparations horrifying either. In his ‘Dialogue of Frederick Ruysch and His Mummies’, Ruysch is awakened at midnight by his cadavers, who have come to life in his studio and are singing in chorus. Ruysch, watching through a crack in the door, exclaims, ‘Good heavens! Who on earth taught music to these dead people, who are crowing like roosters in the middle of the night? I’m in a cold sweat and almost more dead than they are. I didn’t realize that just because I saved them from decay they would come back to life.’ He then enters his studio and says, ‘Children, what kind of game are you playing? Have you forgotten that you’re dead? What’s this racket all about? Has the tsar’s visit gone to your head?’ One of the dead tells Ruysch that they can speak for a quarter of an hour, so he asks them for a brief description of what they felt when they were at death’s door. They assure him that dying is like falling asleep, like a dissolving of consciousness, and not at all painful. They declare that death, the fate of all living things, has brought them peace. For them, life is but a memory, and although they are not happy, at least they are free of old sorrows and fears. Ruysch’s main trick was heating white wax, and injecting it into blood vessels in liquid form. Once it cooled and set he would have a dissectable preparation. By staining the wax red he managed to give bodies and organs a lifelike tint. The result was amazing. He used his preparations in teaching surgeons and midwives, but there was so much interest in them that he set up an exhibition. It was the first time that people could properly see human internal organs. The exhibition soon became a major attraction. The museum was more than simply a collection of anatomical evidence. Those who entered were immediately confronted with a tomb containing various skeletons and skeletal remains. Among them was the skull of a newborn baby placed in a box, next to a sign with the motto: ‘no head, however strong, escapes cruel death’. The tomb also contained the skeleton of a boy of three, holding the skeleton of a parrot, which had been placed there as an allusion to the saying ‘time flies’. Although the admonitory captions were very much in the established tradition of anatomical presentation, the museum was quite unique in that Ruysch had made an effort to give it an attractive design. Amidst the little skeletons in the tomb, for instance, was the embalmed body of a foetus of seven months. Its quite natural colour already made the sight a little less unpleasant, but Ruysch had beautified the child in other ways as well, by putting a bouquet in its hand and crown of flowers on its head. The flowers, too, had been preserved so that they would keep their petals and their bright colour. Visitors were confronted with the skeletons of a child of four with a toy in its hands, a five-year-old holding a silk thread with an embalmed heart dangling from it, and a girl drying her eyes with a pocket handkerchief. Decorations, memento mori images and vanitas symbols put the horror of death in perspective by stressing the transience of life, by showing that the body was no more than an earthly frame for the soul. After death it no longer served its purpose – only an anatomist could still make it useful to the living. Of course, the real goal of the anatomist was not to amaze his audience, even though that ambition, too, could be justified, particularly by arguing that it would impress the viewer with the wondrousness of God’s creation. But the ultimate objective of anatomy was to increase man’s knowledge of the structure and workings of the human body. 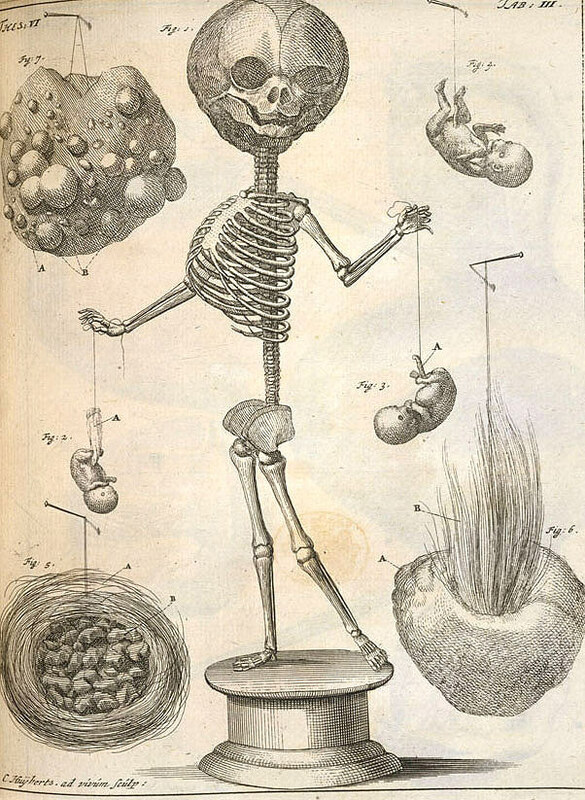 Ruysch had developed his skills to be able to make structures visible which would otherwise have remained invisible. 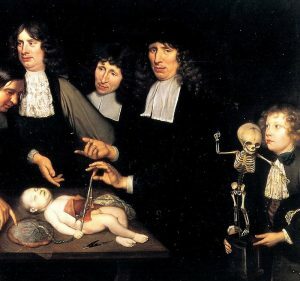 Towards the end of the 17th century, after thirty years of practice, Ruysch, assisted by his son, managed to perfect his preparation method, which, as he said, now made ‘the tiniest parts of the human body clear to the eye’. Key to the process was the injection of a substance that would not congeal until it had penetrated the tiniest of blood vessels. Liquid wax went a fair way towards this objective, but not as far as Ruysch wanted. So he had constantly been looking for a better substitute. Once he had that, he made many new anatomical discoveries, and he could make preparations that differed little in appearance from living tissue. Most of them now were stored in glass jars and bottles, in a remarkably clear liquid he called liquor balsamicus, a liquid that preserved their lifelike colour and elasticity. Whereas they used to become hard and stiff, and lost their colour, now they were kept bright and supple. 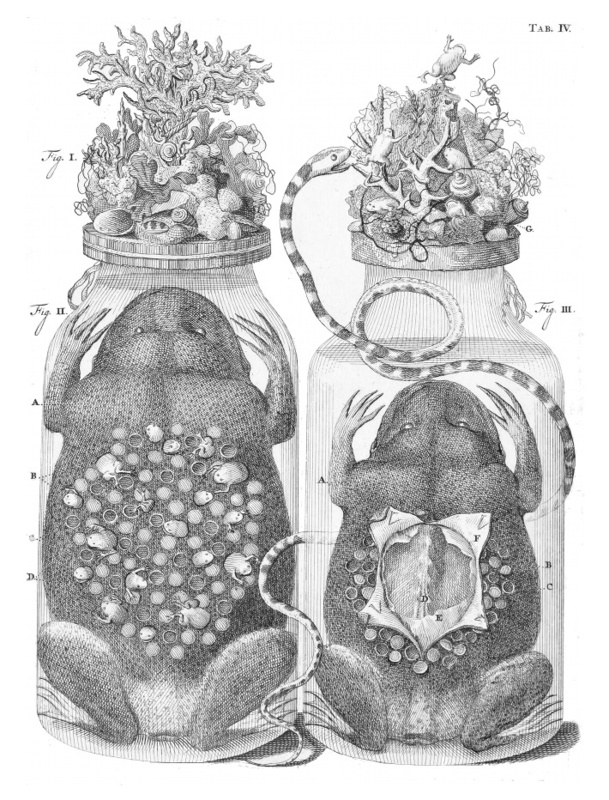 When Ruysch first made his results public, his technique was considered akin to sorcery. Some people simply refused to believe their eyes. 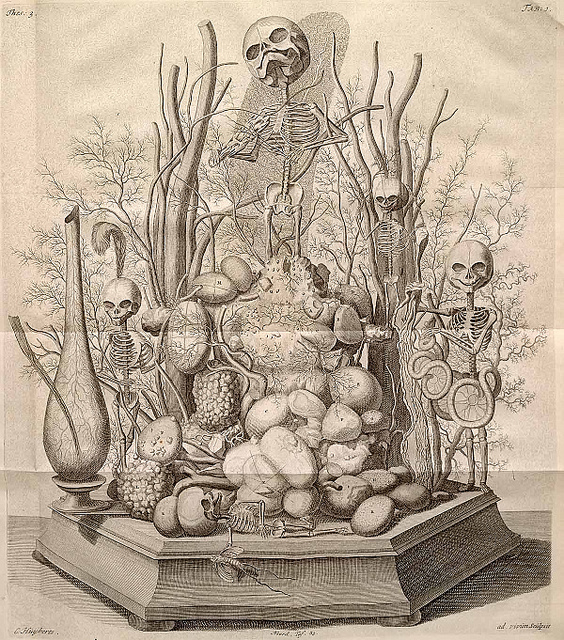 Ruysch was accused of using trickery to make his preparations more attractive. He was often criticized for the way he presented his anatomical material. What was the point of all that embellishment, he was asked, and he countered by demanding to know why people spent so much money burying bodies that were already worm-eaten. His reasons were clear: ‘First of all, I do it to allay the distaste of people who are naturally inclined to be dismayed by the sight of corpses’, he said, but (and this was why he didn’t want to be accused of cheap tricks) he also saw a clear connection between the appearance of his preparations and their scientific validity, for he claimed the ability to restore a body to the state it was in before death. That his corpses seemed to be asleep was not just amazing, it was also significant. Because his new technique enabled him to work more efficiently and to make better and more beautiful preparations he decided to reorganize his museum, and in doing so, he concentrated more than ever on the presentation. The collection was placed in a number of cabinets that filled three rooms. As before, the arrangement was not systematic: Ruysch turned every cabinet, which he called a thesaurus, a storehouse of knowledge, into an individual work of art, consisting of different kinds of preparations in unique combinations. The centrepiece of every cabinet was an anatomical still life placed on a bed of bladder-, kidney- and gall-stones, from the midst of which rose ‘trees’ of dried blood vessels filled with a red wax-like substance. Among these stood tiny foetal skeletons. They still delivered their grave message to the visitor, but by now they did it with a sense of humour. Although the collection reflected his search for answers to scientific questions, and could be used to answer such questions – at least when Ruysch could find the preparation he was looking for – it was largely an end in itself. 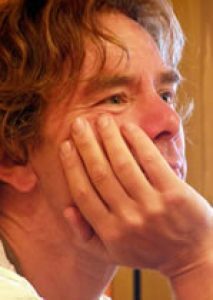 Ruysch did not order his work according to specifically formulated problems. Instead, he confined himself to describing his collection and recording the observations his injections had enabled him to make. He maintained that he was merely gratifying the desire to observe the miracles of God Almighty, but in fact his motivation was twofold: not only did he exalt the human anatomy as a wondrous product of creation, but he presented himself as a veritable artist of death. His display of his anatomical virtuosity contained the veiled message that he – and he alone – was able to defy death to the extent that he could make a corpse look like a living body. He always emphasized the natural form, colour and flexibility of his prepared bodies, which differed from live ones only in their lack of movement. He was convinced that his art had given him knowledge – and therefore a special status – that others would never be able to attain. This explains his reluctance to divulge his working methods, for it was only by maintaining strict secrecy that he could remain the sole intermediary between the living and the dead. Various books by or about Frederik Ruysch. More pictures of Ruysch’s anatomical displays. ‘Dialogue of Frederick Ruysch and His Mummies’ in Essays and Dialogues of Giacomo Leopardi (1882), translated by Charles Edwardes. The Magic Skin (1915, English translation) by Honore de Balzac. Death Defied: The Anatomy Lessons of Frederik Ruysch (2010), by Luuc Kooijmans. Forces of Form: The Vrolik Museum (2013), by Laurens de Rooy and Hans van den Bogaard. Finders, Keepers: Treasures and Oddities of Natural History (1994), by Stephen Jay Gould and Rosamond Purcell.